For around a year, Jolly has been been hiding her true colours – skipping along the kilometres, with lean and light equipment. But that was only ever half her design brief. Barely noticeable in her lines are forks with enough clearance for wide tyres and mudguards, and a frame that will take a plethora of other accessories made for endurance over speed. But last weekend the waiting was over – it was time to finally start emptying the large box of components that had slowly been accumulating beside my desk for the past few months of researching and planning. 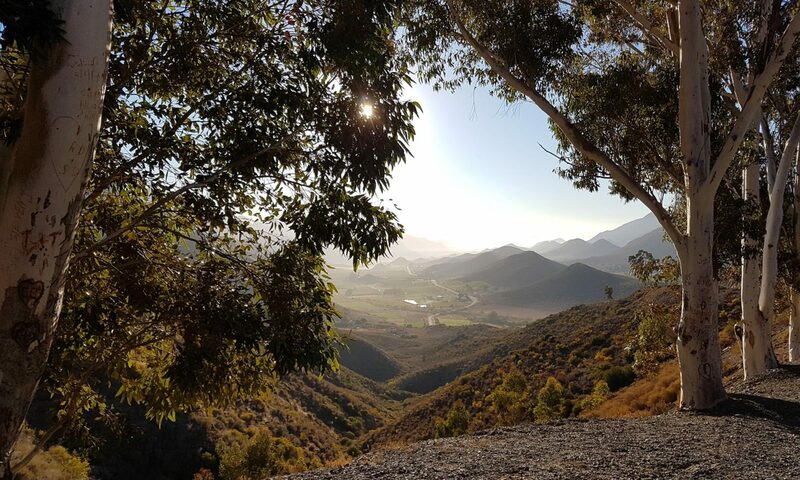 After three weeks off riding over Easter, piling on totally the wrong sort of kilos, it was the perfect task to get me back into the cycling spirit. Although, after all the waiting, I was both excited and nervous to see whether all the parts and ideas would fit and work together as a whole. 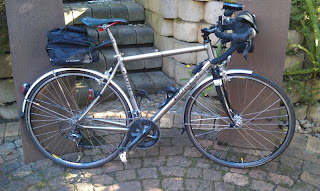 First up was wheel and drive-train changes, and fitting the mudguards.Off came the light Velocity A93 wheels, and back on went the heavier duty Mavin Open Pro wheels. 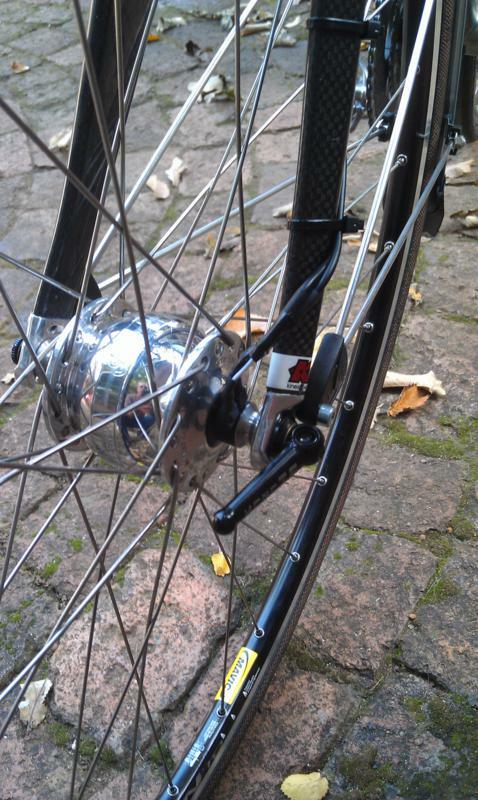 Although this time I get to try out the additional front wheel built with the SON Dynamo Hub. At the rear was the same Hope Pro3 Hub wheel, but with a new Ultegra 11-28 cassette, and new chain for good measure. I struggled to get the chain length right, and after speaking with William I may remove one link. The mudguards were a significantly trickier task, taking much longer than I had expected. The Sheldon Fender Nuts, sourced from the US at great expense and complexity, fitted ok but seemed to throw the mudguard into totally the wrong shape, pushing the front down onto the tyre, and sticking the back section way too far from the wheel. 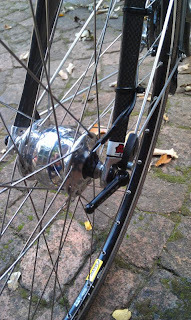 Although less than ideal, I reverted to mounting the guard on the brake side of the fork crown. Even in this position, the stays required hacksawing down to get a pleasing profile with the guard following the circumference of the wheel. Overall, it set me back an hour or more on what I’d expected would be a reasonably quick stage of the refit. After a break to take care of weekend chores and spend time with the family, I started fresh again on the next stage of the transformation – wiring the electrical system. This stage I expected to be fairly complex, so approached it carefully and cautiously, intent on taking it slowly and getting it right first time. The first part was mounting the Edelux light to the fork crown, and the B&M e-Werk voltage regulator to the frame, and running both their cables down the right front fork to the dynamo. Each spade connector for the dynamo needed to have wires for both the light and e-Werk attached, and I’d decide to solder as well as crimp them for good measure. The wiring for the troubled me as it was attached direct into the light, leaving no room for error. And sure as nuts, I nearly messed up and stripped it too short – salvaging my mistake with a small extension soldered to the earth side of the cable. Minor hiccup out of the way though, I was quite pleased with how tidy the wiring looked once the heat shrink covers were in place, and a small amount of insulation tape to bridge the open gap where the two sets of wires came together. The next stage of the electrical system was the rear light also powered from the dynamo. 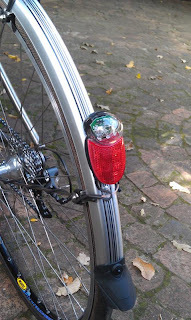 This proved a relatively simple process as the cabling runs as a spur from the front light, taking advantage of the built in voltage overload protection circuit of the front light. I had originally intended to run the cabling along the down tube, but couldn’t achieve a tidy result clear of gear cables, so I opted instead to go along the top tube. 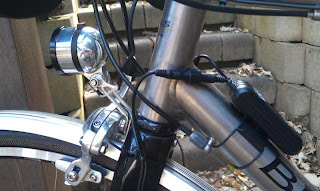 It took quite a few wraps around the seat stay and back up the mudguard stay to lose the excess cable length so I could use the pre-wired spade connectors rather than having to strip and wire my own. The end result looks about as neat as I reckon is possible given that some cable ties are inevitable with nothing else to attach the wiring too. The final stage was luggage and navigation tools, starting with re-fitting the Ortlieb handlebar bag and the bar extender for GPS and light. Also onto the handlebar went the old-school wired Sigma BC 1605 bike computer. Although hardly latest technology, this forms a vital part of my navigation strategy. Without a reliable distance reading, the printed route-sheet will be worthless as a backup to the GPS for keeping me on track. 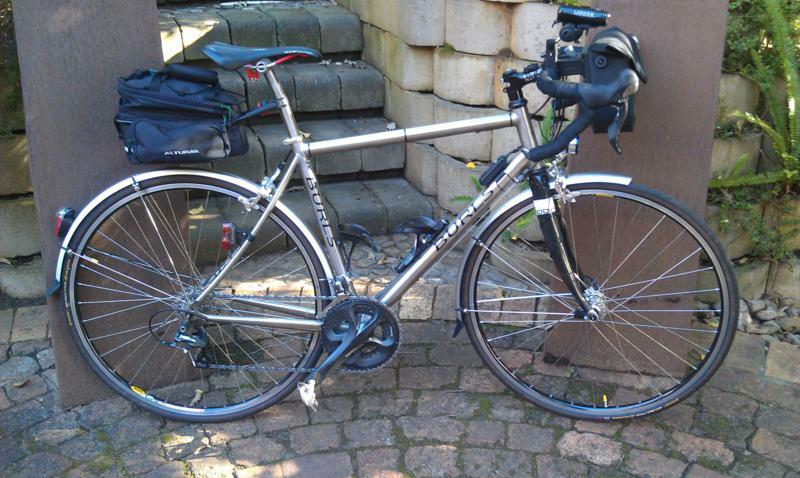 With the front luggage sorted, the Altura expanding seat post pack could go on the rear. At only 5L of luggage space, this could be considered minimalist by Audax standards. With two bag drops, in theory I should be able to travel fairly light, but despite that I still have doubts if I’ve compromised too far in terms of packing space. A hasty packing trial after the final fitting was all done did at least prove that the major items of clothes and spares went in, albeit with very little space spare and still items on my list that I was planning to include. All in all, my nervousness seems to have proved unfounded. 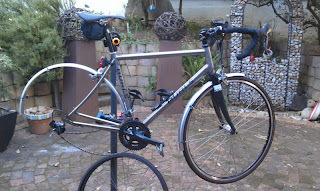 Everything fitted on the bike, and so far at least after one 100km trial ride, seems to work reasonably well together. Jolly has joined me in adding some kilos, around 3.5kg to be exact, bringing her up to around 11.5kg with bags unloaded. Out on the road though, the weight isn’t really that noticeable except in the hills. I was sceptical of the benefit of the 11-28 cassette, but it was a delight to have one extra gear to help me spin that weight easily up the steepest sections of Helshoogte. With three months of preparation time left, the bike is ready for LEL – now it’s time to get myself in shape physically and mentally too.